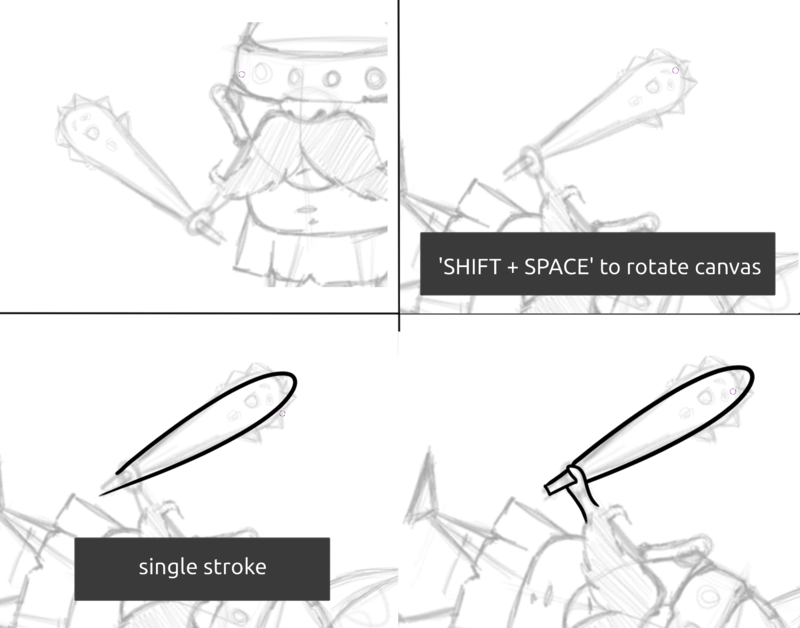 Let us learn to achieve smooth strokes in Krita. Device : Pressure pen tablet ( I am using Wacom Intous Medium). Brush Pack : Krita Brushkit v8.2(Free). Download it from here. I prefer using this brush pack by David Revoy (Its free !) 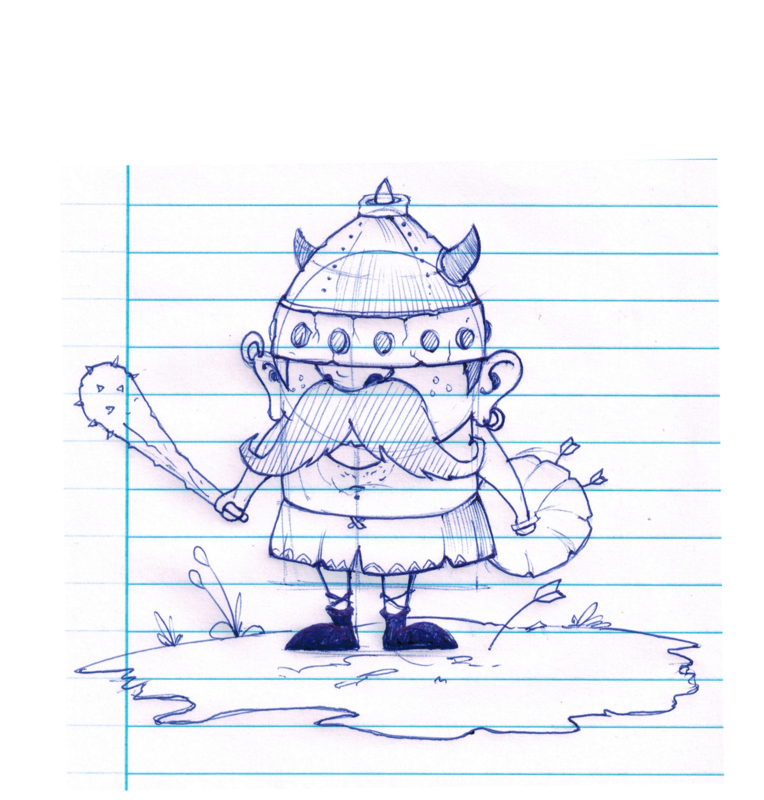 and it suits my needs for illustrative work. 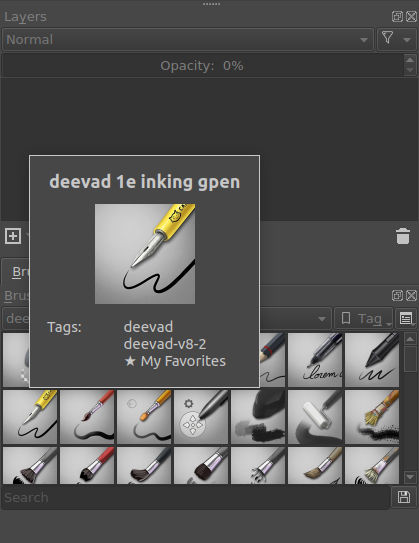 Its not necessary you use these, you can use the default brushes also. Get the pen sketch as a layer in Krita. Note : Make corrections to the sketch by going over it on another layer. As you can see the result down below.We will be using the sketch over for the actual inking. Add another layer and call it ‘Ink’. 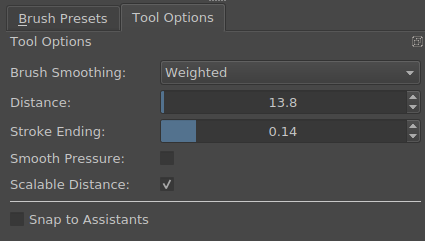 In Brush tool options choose the weighted smoothing option with default settings. Note : Weighted smoothing gives you an easier control, compared to the Basic smoothing and is quicker than the Stabilizer option. Now to begin with the inking. 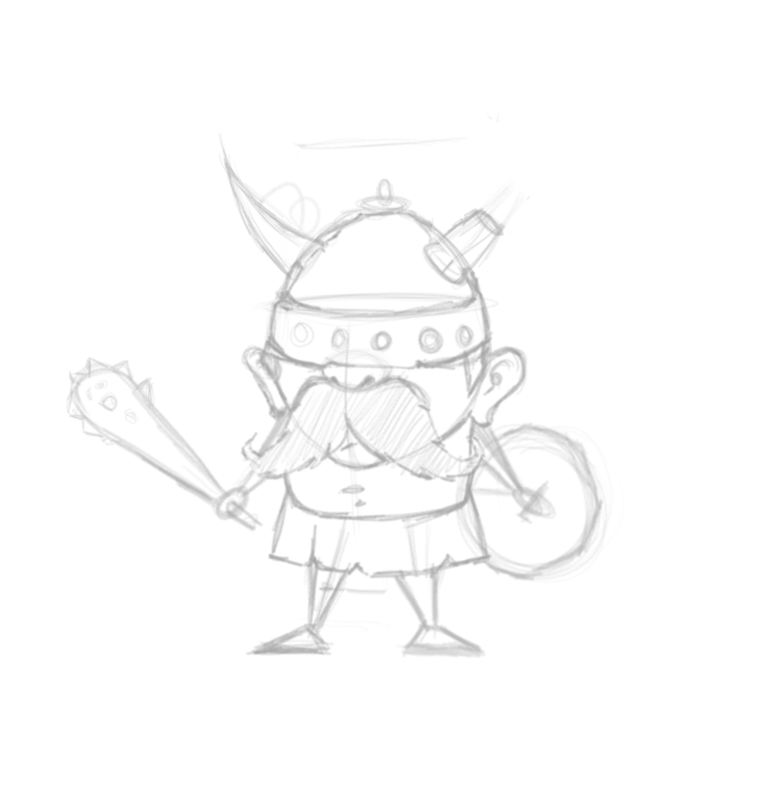 I start wider and overshoot my lines following the sketch (Do not mind the lines at this point). Erase the overshot lines using the same brush by hitting ‘E’(transforms the brush into an erasing brush with the same flow and control). Keep the number of strokes as minimal as possible, for example the outline of the helmet top was done with one single stroke, your work will look neater. 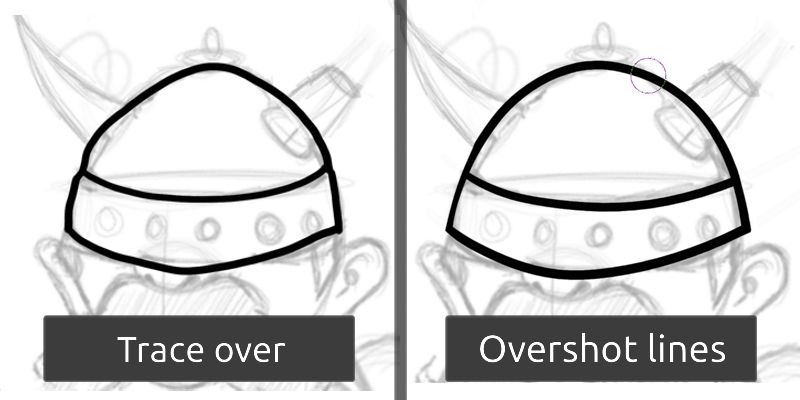 Overshot lines look far more expressive and increase your inking speed because the lines are far smoother too. 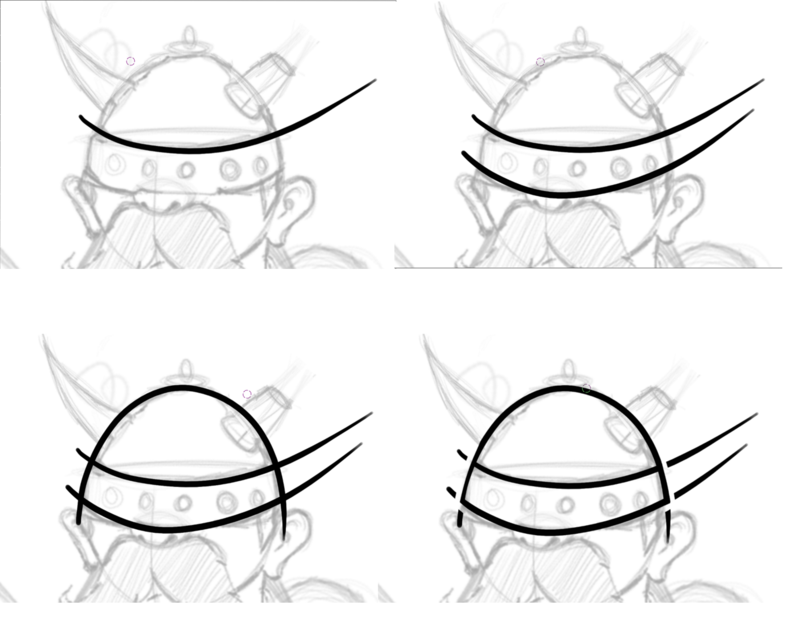 Given below is a comparison of sketch done with overshooting strokes compared to lines done by carefully tracing the sketch. 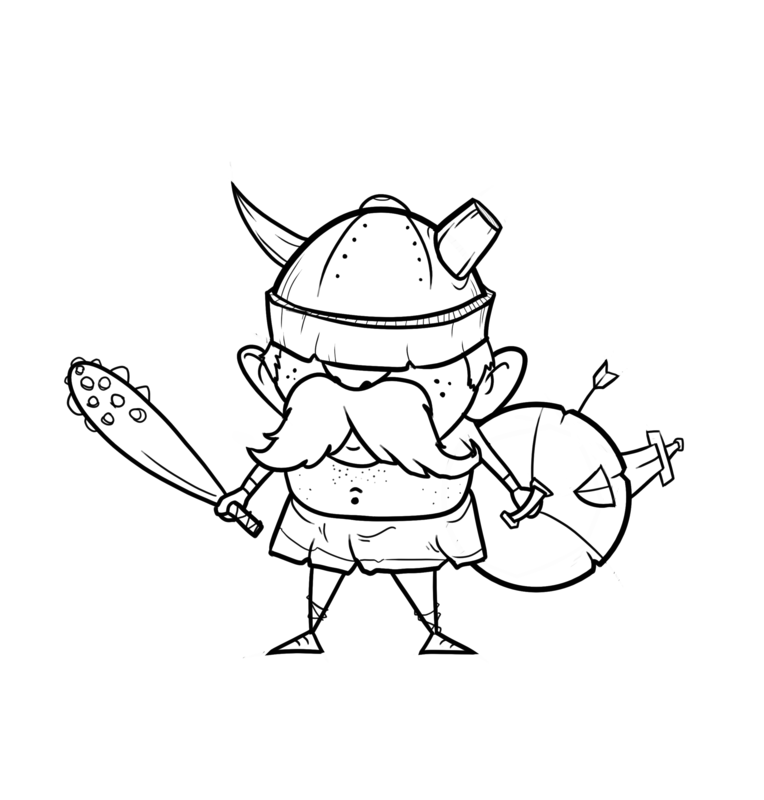 There will always be areas of sketch where basic shapes can be used to fill out the line art. 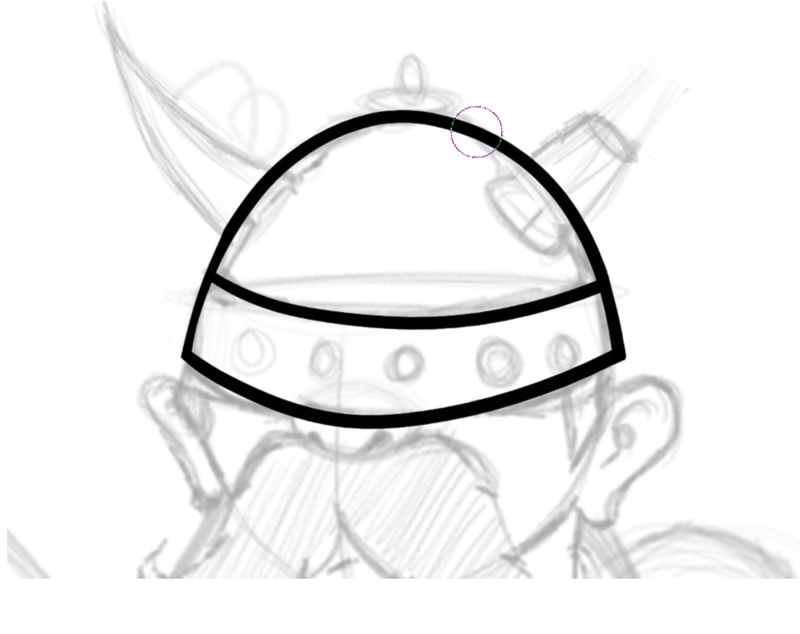 In our sketch we can use the Ellipse tool to draw out the vikings shield. Then remove certain areas and fill them out to indicate dents or cracks giving it a more organic feel. 3. Rotating Canvas for easier line work. Rotate the canvas by holding ‘Shift+Space’ . Then adjust the angle using the mouse. This can help adjust any particular areas of the drawing which are a bit awkward to draw, specially when using a pen tablet where you don’t have enough room. Use this approach and complete the rest of the inking. My finished result is shown below. Wanting to create a 3D book in Blender ? Check out this tutorial Blender : 3D Book. Having problems migrating from old WordPress to new one.Read more here.